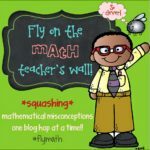 This month, I have the pleasure of linking up with 15 great math bloggers for the Fly on the Math Teacher’s Wall Blog Hop. Our topic for discussion is fractions. Today, I want to discuss the importance of using number lines with students to get them to conceptually understand fractions. 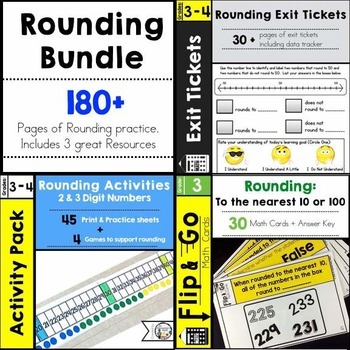 Number Lines are such great tools because they provide clear visual images that assist students in developing the concept of number magnitude. According to Moss and Case (1999), a number line is a mathematical model that provides a rich environment for understanding and reasoning about rational numbers. 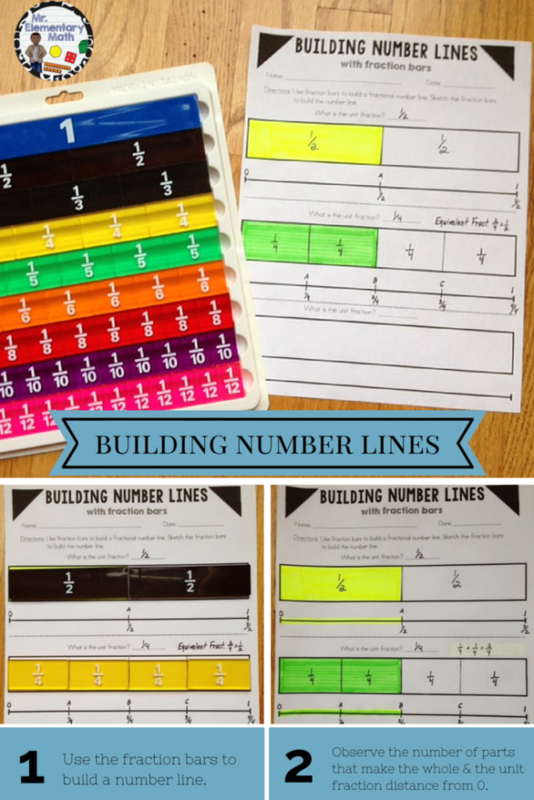 Much like a ruler, a number line is a linear scale that is divided into equal distances. Oftentimes, as educators we teach students to only read the hashmarks on a number line, but one of the most important things to understand is the distance from 0 to a designated point. 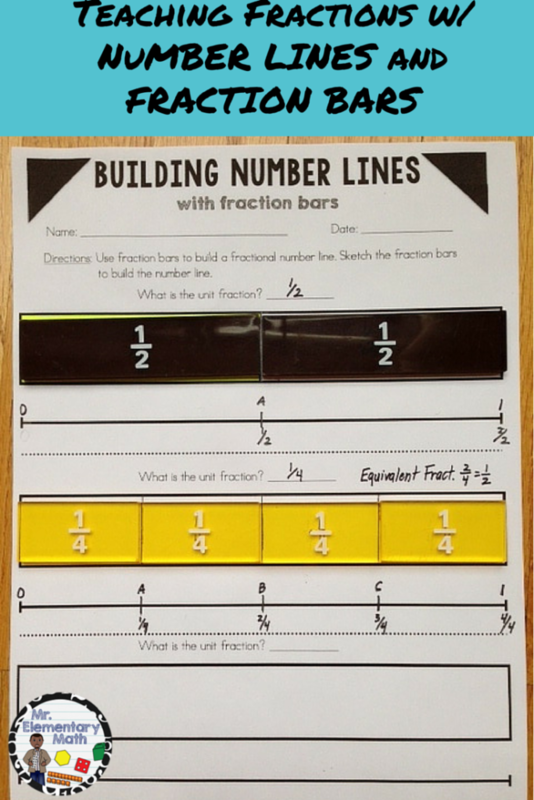 To help students better understand this concept I have students build number lines with fraction bars. We start by using fraction bars to determine how many parts will make up the whole rectangle. We then partition the rectangle into equal parts and apply the same concept to the number line. Check out the example below. * What is the unit fraction that you are working with? * How many unit fractions make up the whole? * Explain how the fraction bar and number line are similar? Different? * What is the distance from 0 to point A? Point A to B? Point B to C? etc. * What is the distance from 0 to point A? 0 to point B? 0 to point C? etc. 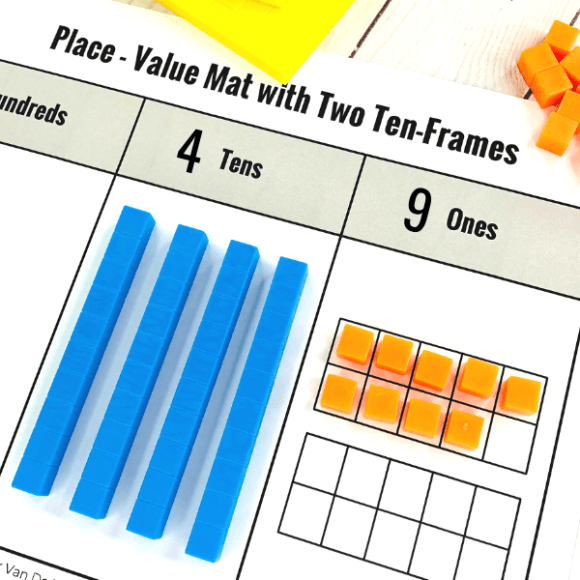 As an extension, students can find fractions that are equivalent and discuss what they notice. For example, in the image above the distance from 0 to point A (top number line) is 1/2 and the distance from 0 to point B (bottom number line) is 2/4. The distance from 0 to both points are the same, therefore 1/2 and 2/4 are equivalent. Check out the completed version of the activity below. I also use the activity sheet below to further reinforce this understanding. Click here to download a copy of all the activity sheets above. 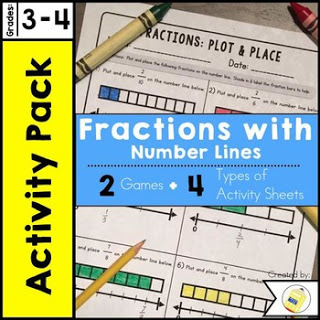 Hopefully this was a helpful post to bridge the understanding between fractions and building number lines.If you are looking for more resources for teaching fractions using numbers, click on the photo below to check on Fraction Games and Activities Using Models and Number Lines. 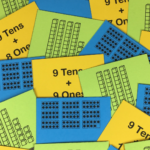 Up next in our fraction blog hop is Tara. 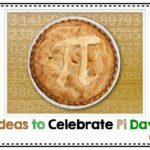 Tara is sure to have an AWESOME post that busts misconceptions and build understanding. Be sure to stop by her blog by clicking the logo below. I love visual aids! Your idea provides hands on visual aids students can create themselves. There is no “one-size fits all” when teaching, yet this activity approach tackles many teaching strategies. 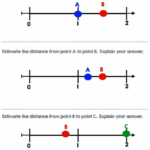 I also really like that students can compare their number lines to find equivalent fractions. Students learn better when they discover things themselves versus having everything read to them. thank you so much for this blog and resources! They have been very beneficial to my learners and I this year. Thank you so much for these resources. I work as an RSP, and your blog has helped me to scaffold the contents, allowing me to tackle all my students. Thanks again from Chile, Southamerica. Absolutely love your post, Greg! 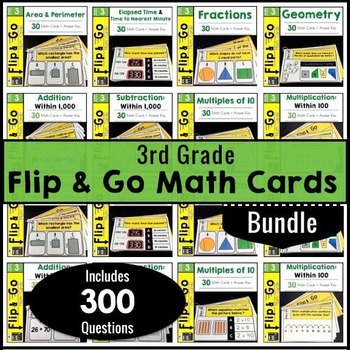 I will be able to use your ideas with some of my students to get them prepared for what they will encounter in third grade. Last year, one of my small groups explored fractions (whole, halves, thirds, and fourths) on the number line. I am so glad to see number lines in the fraction standards. So important in helping build conceptual understanding. Your post excites me! Will definitely be sharing it with the third grade teachers at my sister school! Thanks for all you do! Thank you Sarah! You know I love number lines! Let me know how it goes with your students. I love that you relate fraction bars to the number line. This is very much like the primary progression from a number path to a number line. 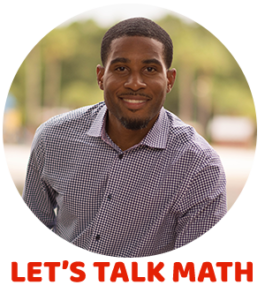 Your model respects the students' developmental understanding of the whole distance between two numbers. Thank you! It is important that when teaching we keep referring back to the fact the the hashmarks designate equal distances on the number line. I like your ideas. My students always have difficulty figuring out what fraction to make each hop on the number line. They always want to count the lines not the hops. I'm going to try this, I think it will help. Thank you. Thank you Daisy. I think most kids focus more on the lines than the actual distance between the lines. Using the fraction bars really helps kids see the parts or segments. Let me know how it goes! Love theses ideas! The number line is such a powerful model for students and is great for comparing fractions and talking about fraction density. I agree Tara. Number lines are powerful tools and when you use them in conjunction with the fraction bars you can clearly see a relationship. Great post, Greg!! 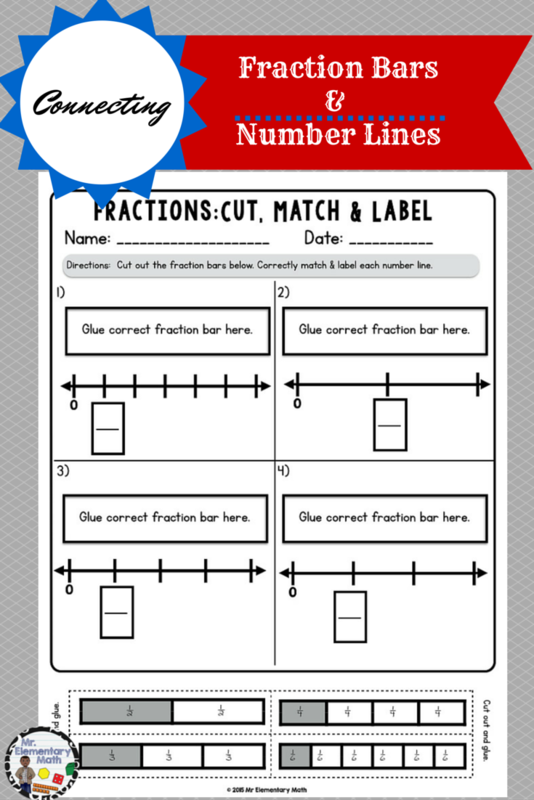 Excellent activities to build understanding of fractions on a number line! Thanks Donna! I LOVE the number line.